Update: Using Toad’s very useful comment this post now uses a better method. Thanks Toad! 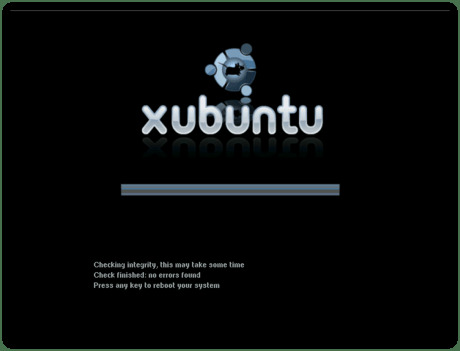 As noted on the Xubuntu website, there is a most urgent need for testers of Xubuntu’s next release, 7.10, dubbed Gutsy Gibbon. Now, obviously you are eager to help out, so you download Xubuntu’s latest ISO image in order to burn it onto a CD. However, you realize that, when you report a bug in Launchpad, the error might just be caused by an incorrect download. How are you to know that your download completed successfully? That’s where MD5 comes in. MD5 is an algorithm to convert input to a 32-character text string. When provided the same input, it will always return the same output. What’s more, it can even take a file as argument, including your ISO image! 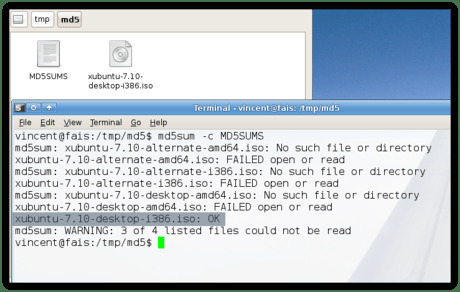 So how do you get Xubuntu to calculate the MD5 sum of your ISO image? It’s simple, really. First, of course, you need the image itself, so go and download that, save it in a folder of your choice. You also need the MD5SUMS file listed on the same page, so click the MD5SUMS link. As you can guess, this file lists the MD5 sums that are associated with the files listed on the server. Save the file (in Firefox: File->Save Page As) into the same folder you downloaded the ISO image to. This will look for each file listed in the MD5SUMS file and, if it is present, calculate the MD5 sum of that file and compare it with the one listed in the file. My MD5 sum is correct! However, the image might still get corrupted when burning it onto a CD! 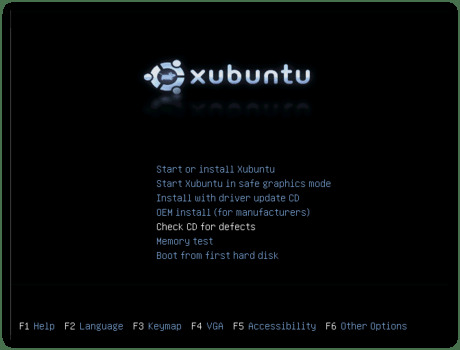 Luckily, Xubuntu can check the MD5 sum when you boot the CD, by choosing Check CD for defects in the menu. It will then “check the integrity” of the CD. Once it has finished, it will notify you whether errors were found. Nice article, the pictures are sweet touch. I have two things to say, and I think they would be beneficial in your article. Perhaps you can add and flesh them out some. If you like my suggestions, I hope you can improve my ideas into some coherent; your writing style is much better than mine. This code below makes life very simple compared to running md5sum and comparing method. Personally, I hate comparing by hand, since it is slow and I’m afraid might miss something. For while, I used a little interactive python to do checking for me, then I found out about the -c option for md5sum. 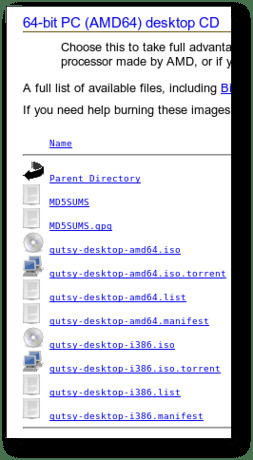 Where ‘MD5SUM’ is the file downloaded from the ubuntu download page, residing in the same directory as the .iso file. Either delete the other .iso entries in MD5SUM, or just ignore the errors md5sum will give since most likely the user hasn’t downloaded all of the .iso files that are referenced in MD5SUM. I recommend not deleting them just in case the user decides to try another .iso, the MD5SUM file won’t have to be re-downloaded. Make sure the burned cd is correct. I’ve had cd’s that have had bad burns but good a .iso file. It seems there are two ways of doing this checking. use md5sum again, look at the ‘MD5SUM on CD’ section at the bottom of the page in the url below. I found that the code there doesn’t quite work right anymore, but it’s nothing major. for some ‘cd /cdrom’ didn’t actually point to the cd. If the last command output anything, the burn is bad. well maybe my cd writer is burning bad cds?? So the original iso from the website contains corrupted files am i wrong??? The images have not been updated since 16 October 2007, and have since worked for many people. What might be the case is that the ISO’s also do not include those files on the server (accounting for the correct MD5 sum), and that these files are simply not needed (accounting for the many correct installations). MD5 does not, though, report missing files. It only gives an MD5 checksum which has to be the same as the one on the server. So I suppose it was something else that checked the CD and which somehow thought these files were supposed to be present.